LOOK NO FURTHER! This is your new Home-Sweet-Home! Spectacular value in the Heart of Calgary's Downtown West End - just steps from the C-Train Free Fare Zone and walking distance to the Bow River, and trendy nearby restaurants, businesses and all amenities! Fresh new paint throughout! 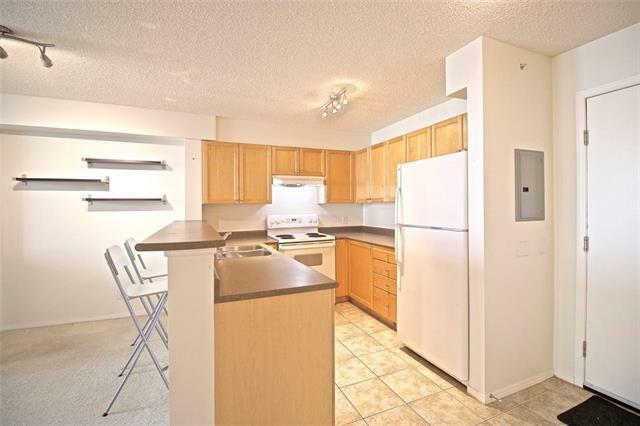 Beautiful spacious open-concept 1 bedroom / 1 bathroom condo with a very functional layout! 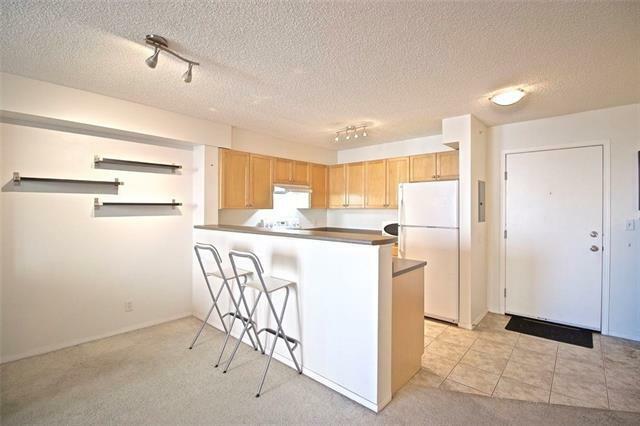 This unit has a dining area/den off the side of the kitchen, ample kitchen cupboard and counter space, large master bedroom complete with substantial closet space, and a spacious living room that leads out to the covered north facing balcony with incredible Bow River and Downtown Views!! 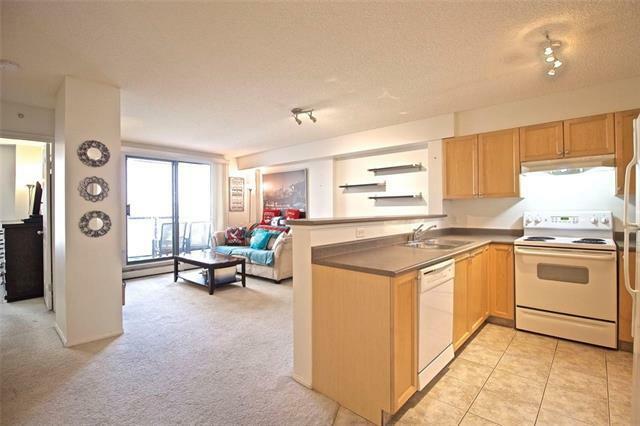 Titled underground heated/secured parking, concierge & security services, full fitness facility/gym, bike storage, gas BBQ hookup and in-suite laundry are just some of the additional features of this property! 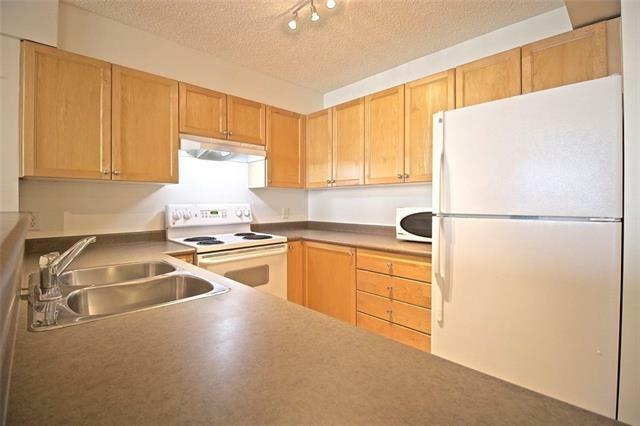 Condo fees include all your heat, water, and electricity and are only $362 a month!! This is a Must See!! Call for your showing today!